Finally. For this blog, I have been asked to drive around trying desserts across several towns. Excuse me while I cry tears of joy. But seriously, it was an absolute blast to try out some of the best sweets that this county has to offer. So, without further ado, here are some of the dessert places that are definitely worth the drive. This is where dreams come true. Seriously, it was like walking through my very own version of Willa Wonka&apos;s Chocolate Factory. 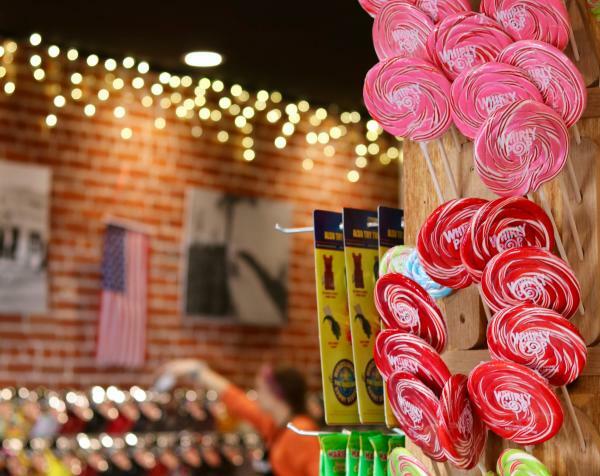 The moment you step in the Chippewa Candy Shop your eyes are drawn to the hundreds of jars full of assorted candies, chocolates and sweetness. They also offer a small ice cream bar with toppings that put your 12-year-old ice cream sundaes to shame. I highly recommend trying their home-made chocolates. They have chocolate-covered blueberries which were a complete game-changer for me, and truffles that are guaranteed to satisfy your chocolate fix. 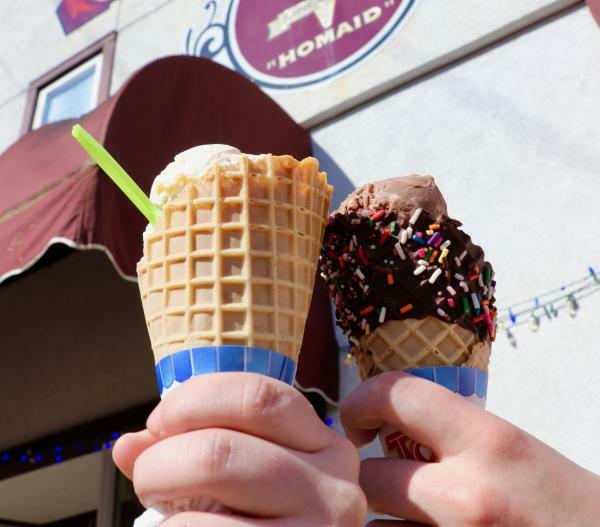 Olson&apos;s Ice Cream is a must-see for locals and visitors alike. The interior is simplistic, with ice cream as the focal point. Their low prices and substantial variety made this place a busy stop. I tried out their strawberry cheesecake and peanut butter & chocolate flavors, which were tasty. As any good ice cream parlor does, they offer chocolate dipped cones that add the extra sweetness we all deserve in our lives. Located about 20 minutes from Eau Claire, Kristi&apos;s offers a full menu and plenty of sweets. The indoor seating is convenient for those who want to indulge in their full menu of salads, sandwiches and flatbreads. By the time I made it here my sweet tooth needed a slight break, so I opted for one of their pineapple smoothies, which was utterly refreshing. But don&apos;t worry, I did grab a dark chocolate sea salt caramel for the road, which was as delicious as it sounds. 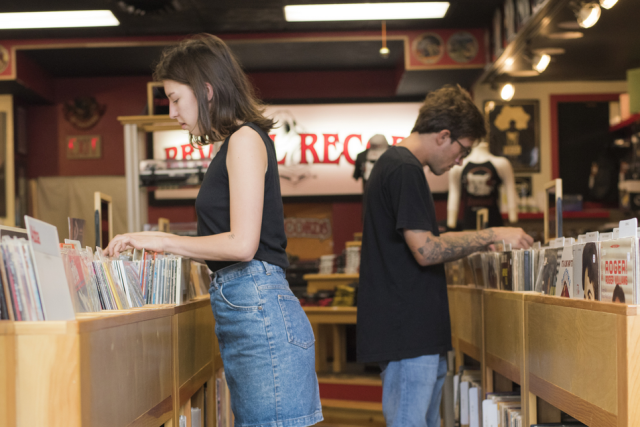 Eau Claire Insider Tip: Be sure to have cash because they only accept cards for purchases over $10. Norske Nook is an American and Norwegian blend restaurant, which offers the most iconic treats in town. They are well-known for their pies, which are absolutely delightful. The variety they offer is impressive, with a full fridge stocked of slices ready to be devoured. Whether it be frozen, hot, creamy or fruity, they have it all. I also tried a cookie from the front display that was chocolate chip with butterscotch, coconut, pecans and chocolate drizzle. Talk about a choco-holics dream. I have to be honest, I couldn&apos;t even finish my slice of pie because it was that rich and that good. If you haven&apos;t heard, this place is known for their pies. So, while you might want to enjoy some of their food, it&apos;s an unspoken rule that you save room for pie. I tried a peanut butter slice that had a light topping but dense flavor. Their apple pie was also sublime, with flavor oozing out of the sides. A quick jog across the street brings you to Bloomer Bakery, where you can pick up some of the classic bakery treats you love. The store is small, with the counters nearing the doorway so that you can come and pick up treats to enjoy at home or outside. I really struggled to choose exactly what to get because the truffles seemed to call my name, but the red velvet cupcake caught my eye. Naturally, I decided to get both, and it was the best choice I made all day. This quaint coffee shop is full of coffee and treats. Their bakery counter showcases brownies, chocolate bark and truffles that will surely make your mouth water. I tried a caramel iced latte, which I enjoyed sitting in one of their many booths. It&apos;s also good to note that this is a great place to stop on your way to or from the Twin Cities, as it is roughly two miles from the highway. If you have made it this far, I know you are a true sweets fanatic, which means we should most definitely be friends. I encourage you to hop on over to some of these places because it&apos;s always good to try somewhere new, especially if you know they will be great. Happy eating! While the temptation to bite right in is real, make sure to take some pics and share them with us using #CaptureEC.